How do we keep people from getting to the point that they feel like their faith has failed them or that they are angry with God? Notice how Dr. Welch’s description of faith allows people to see that feeling overwhelmed doesn’t mean that faith isn’t present. Not only is it important for those who suffer to understand Dr. Jones’s point, your lay leaders need to know it too. It’s painful to be cared for by someone who thinks your anguish or struggle is purely a result of spiritual immaturity. And if your leaders think that bliss is possible in this life, even if they don’t verbalize it, they’ll wonder why those they help don’t “get it” or “lean into the promises of God” or “have more faith.” As a result they’ll come off as patronizing and insensitive caregivers. Helping people think through these issues can help them trust God’s plan for the future. While the doctrine of the sovereignty of God is challenging, it’s ultimately a source of great hope. The Psalms are full of examples of lamenting. Jesus lamented in the garden of Gethsemane. Lamenting is an expression of faith. Why is lament an expression of faith? When we let people know that they have the freedom to lament—and that it’s normal to do so—they won’t feel as conflicted when they deal with their questions, doubts, and fears. Take Anne, whose brother John suddenly died from pneumonia and who initially struggled with thoughts and feelings that she felt were not befitting of a Christian. Anne wondered what people would think about her if they knew she was constantly sobbing, wrestling with “what if” questions, confused, angry, and questioning the Lord. Anne described her concern that was layered on top of her grief: “I had a sense that I am a Christian, I have the joy of the Lord, He’s always with me, I have all of His promises. And wham, now I’m hit with something that rocks my world. Do I still have the joy of the Lord? Are people going to see my struggle and think that faith isn’t really real? I finally came to the realization that this is where I am. God deals with reality. Over time, Anne realized that she had no right to accuse God of wrong, and she repented of that. So here are three principles to remember concerning lamenting. Laments aren’t always legitimate. Encourage people to lament, but remind them that while what they say may be an accurate description of their thinking and feeling, what they say about God isn’t necessarily true. Make sure people have good theology. There’s a direct correlation between the benefits of one’s lamenting and his view of God. Lamenting is an intense conversation with God. But if a person holds deficient views about who God is, those conversations aren’t going to be helpful. We need to make sure people have a solid understanding of who God is. It helps if people know these things and have been encouraged to lament prior to being in the midst of a crisis. Think of ways you can incorporate these reminders into your preaching, and encourage your lay leaders to remind your members of these truths as well. What truths or practices have you used to encourage people to keep the faith in the midst of difficulty? Sam leads the CareLeader team. As a seminary-trained, ordained pastor, Sam knows firsthand a pastor’s desire to provide effective care to hurting people in the church and community. He directs and oversees CareLeader’s content, making sure the articles and videos equip pastors with information and ideas that are strategic, do-able, and consistent with Christ-centered, biblical care principles. Sam also leads Church Initiative’s editorial team and has written and produced a number of Church Initiative’s video-based small group curriculums. 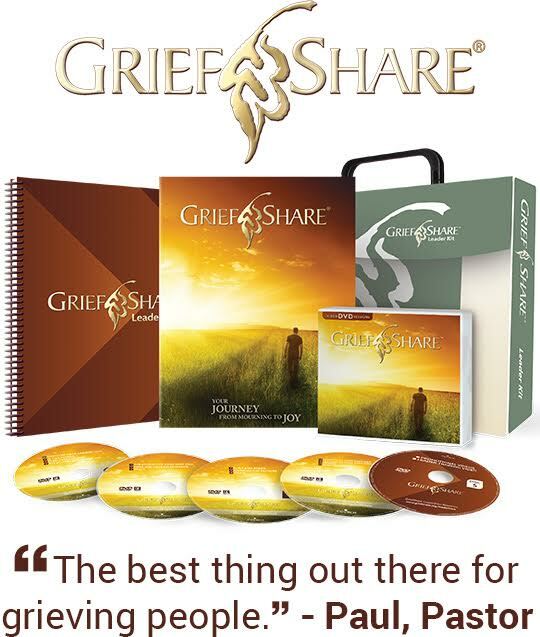 They include GriefShare second and third editions (2006, 2014), DivorceCare third edition (2012), and Single & Parenting (2011). Sam is also coauthor of Grieving with Hope: Finding Comfort as You Journey Through Loss. Sam graduated from Howard University with a bachelor of arts in communications. After that he received a master of divinity degree from Southeastern Baptist Theological Seminary with an emphasis in Christian education. 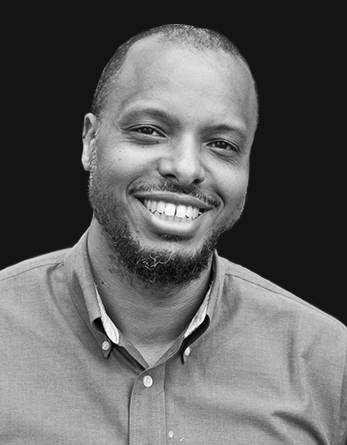 Sam has also served on staff as a discipleship pastor at Infinity Church in Laurel, MD. Church Initiative, GriefShare interview with Dr. Edward Welch, September 2005. Robert Jones, “The Christ-Centeredness of Biblical Counseling,” in Scripture and Counseling: God’s Word for Life in a Broken World, ed. Robert W. Kellemen and Jeff Forrey (Grand Rapids, MI: Zondervan, 2014). Church Initiative interview with Dr. Stephen Viars, April 2013. Church Initiative interview with Phil Sasser, July 2013. Church Initiative interview with Michael Card, July 2013.